THE CALDERA BATUR is one of the most interesting and beautiful places in the world. 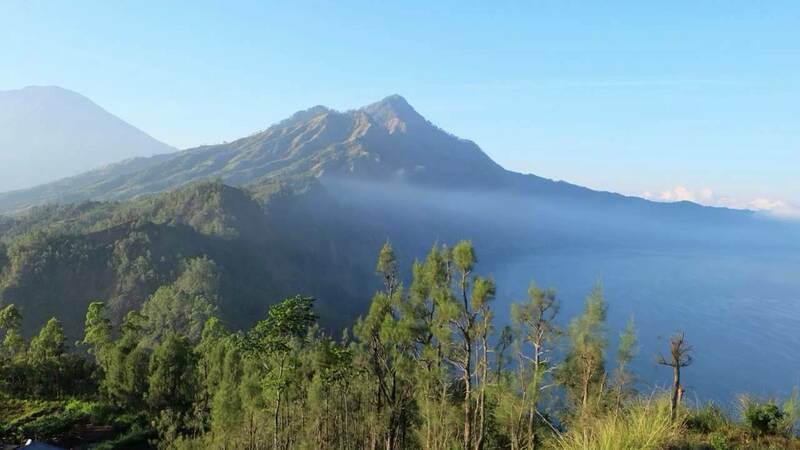 The Caldera Batur is the part of Global Geoprak Network (GGN) since 2012 and located in the northeastern of Bali island ( PARADISE ISLAND ), actually in Songan village, Kintamani subdistrict, Bangli regency, Bali. It is about 75 Km in the northeastern of Ngurah Rai International Airport about 2 hours drive. 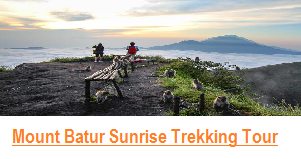 Batur Caldera hiking journey starts at “PuraUlun Danu Batur” temple at 5 a.m. Hiking up until the crater edge of Caldera Batur then also starts. After that, hiking along Batur Caldera edge until the view point continues. From on the top of Caldera Batur is about 1525 M above sea level you can see DOUBLE VIEWS as fantastic views at once stand in the caldera rim. Beside is a beautiful sunrise that you will see, in the EAST SIDE you could see the ocean and Mt. 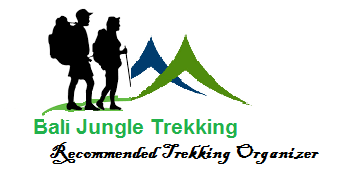 Agung is the higest Mountain in Bali that very amazing and also from along distance we can see Mount Rinjani in Lombok Island. In the WEST SIDE which the views of Lake Batur as the biggest lake in Bali, Mt. Batur is an active volcano which 1717 M above sea level, and also an aga village (Trunyan Village) which is located in the southeast of the Lake Batur. Therefore activities of local farmers can be seen while you trek to the Caldera Batur with the views of agriculture likes ; chilies, tomatoes, onion and etc. As you look down to the bottom of Batur caldera you are able to see the picturesque scenery of Lake Batur. 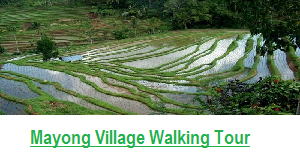 The hiking journey is also going to lead you to observe TrunyanVillage which is one of the Bali Aga Villages (ancient villages) in Bali. 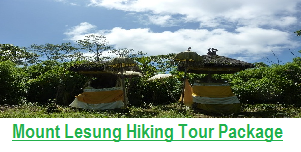 After visiting Trunyan Village, the hiking trip continues to visit Toya Bungkah Hot Spring by Boat. Toya Bungkah is a beautiful and unique natural hot spring in Mount Batur, Bali Island. The boat journey will last about 2 hours. Your trip to Caldera Batur will be more memorable as you enjoy the fresh air and the stunning beauty of Caldera Batur, lake Batur and Mount Batur which are seen from different angles. 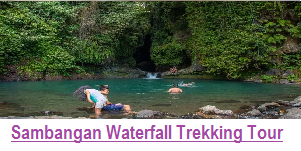 To complete the hiking journey, you will have natural hot spring to relax your muscle after having the great journey of Caldera Batur. 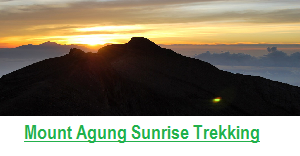 *Arrived at finish point and continue to the next destination 08.00 AM. 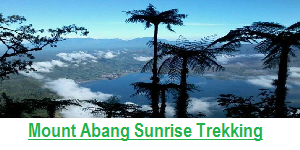 • Hot tea/coffee and light breakfast will be served while sightseeing the sunrise view on the top of the best view point.